Long have supply-chain professionals debated the advantages of the non-asset-based model over the asset-based model of logistics suppliers. 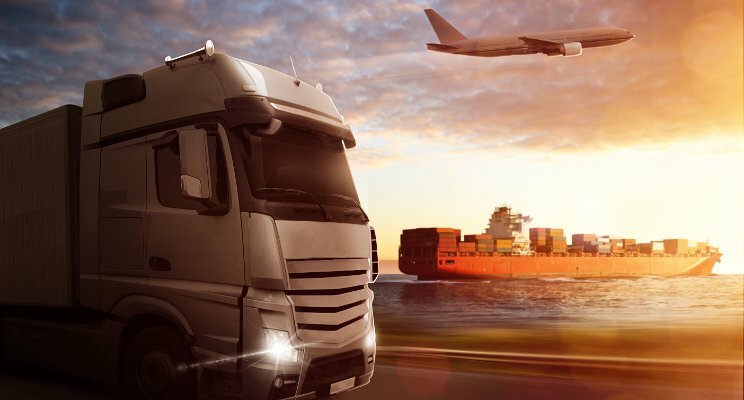 Those in favor of the asset model argue that asset-based carriers can take over their clients’ supply chains by acting as a one-stop-shop for all their transportation and warehousing needs while lowering costs. However, proponents of the asset-light approach would say that customization and flexibility are lost in a rigid network where trucks must be filled regardless of service requirements. At Pegasus, our ideal clients need a flexible network that can scale capacity and meet stringent service requirements at a moment’s notice. To thrive in such an environment of chaos and constantly exceed expectations, Pegasus and our clients rely on a large, flexible, and trustworthy network of partners. As a company, we are only as good as our network, and understanding this fundamental truth pushes us to treat our partners as an extension of Pegasus. Our Vendor Management Team has the unique responsibility of aligning our company cultures, limiting service disruptions, controlling costs, driving service excellence and increasing systemic efficiencies. We are committed to creating a world class vendor network by crafting valuable and sustainable partnerships that align with our Core Values. Accountability and exceptional performance within our vendor network starts with us. To verify that each partner is aligned with our expectations and requirements, a qualified Pegasus representative will make a physical visit to each facility. We’ll conduct a 140-step questionnaire which includes facility security, security-process controls, business-process controls, in-transit security and cultural alignment. Pegasus handles various high-value goods that require a thorough chain of custody program to ensure their safety. These SLA’s are reviewed monthly so that we continue to use only the best partners who regularly deliver superior service to Pegasus and our clients. Another tool to drive accountability and service excellence in each market is our Vendor Scorecard. This program utilizes a performance points system to objectively assess all partners’ service quality. This program also uses a combination of services to identify those partners that bring value to our clients’ transportation needs. Partners with the best overall score based on thoughtful KPI’s will be awarded a higher percentage of our business. Vendor ratings are fully integrated into our system so that we can choose the best carrier for each shipment, giving the client complete peace of mind. Scorecards are published monthly with corrective action for vendors who underperform. Consequences for ongoing service or billing issues include a drop-in tier level, suspension, or possibly removal from the core partner base. These scenarios are rare, as our Vendor Management team does a great job of actively building trust with our partners through personal relationships, the Rewards Program, Appreciation Events, and High Fives. Because our vendors work with dozens of other forwarders, it is important for Pegasus to differentiate ourselves in their eyes. Our Vendor Rewards Program incentivizes our partners to go to war for Pegasus, and awards include Rookie of the Year, Vendor of the Month, Dispatcher of the Year and Vendor of the Year. Their rewards include several types of prizes and, most importantly, an increased workload in their respective markets. We have also extended our High Five program to our partner network, which is designed to reward Pegasus employees when they demonstrate one of our Core Values. This helps permeate the Pegasus culture thorough our network and has been received by our partners with astounding enthusiasm. The capstone of our Rewards Program is the annual Vendor Appreciation Event, which gives our partners the opportunity to have collaborative meetings, fun activities, and informative Q&A’s with their peers and Pegasus employees alike. It’s all about sharing of best practices and cultivating those relationships. For the past 23 years, client satisfaction has been the foundation of Pegasus. Our mission: A superior customer experience provided by a passionate, committed group of people who choose to make a difference in the lives of others. The adage says “take care of your people, who in turn will take care of your clients, who will reward you with more opportunities to grow.” We live by that motto and take it beyond the walls of Pegasus. Our network is committed to exceeding those expectations every day.